Synopsis: Here at Bedstar we’re all for helping save the world; ultimately without our beautiful environment we wouldn’t be here. Worse of all it means we wouldn’t be able to sell beds to you lovely people and that sure would be a shame. Here at Bedstar we’re all for helping save the world. Ultimately, without our beautiful environment we wouldn’t be here. Worse of all, it means we wouldn’t be able to sell our huge range of amazing beds and mattresses to you lovely people. That would be a shame. That’s why we take recycling very seriously. Without people doing their bit, the state of our planet is only going to get worse and worse. That’s why we want to help you out when it comes to keeping this big blue marble spinning - that’s why we’ve introduced our disposal and recycling service. Why would you recycle a bed? Buying a new bed is the easy bit; getting rid of the old one can cause you some hassle. Sometimes you’re able to give your old bed away to family or friends but even then it can be a hassle. Finding a van to move the thing, getting the time to do it, it all becomes a rather tiresome chore in the end. Well, that’s something Bedstar can help with. We’ve been running thedisposal and recycling servicefor some time now. We deliver your new bed, pick up your old bed and whisk it away, never to be seen again. Now, don’t get emotional - we’ll make sure it has a safe journey and you can be sure that it it will be recycled in the most energy efficient way. With our help you can sleep even easier at night knowing what you’ve done is positively impacting the environment. The only costs involved are the actual costs of transport; this includes the van hire, driver’s fee and petrol. The disposal and recycling service costs £39.00 but for that you’re getting complete removal of your bed, transportation costs and recycling services. 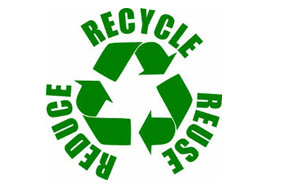 You’re also getting the added benefit that your bed is being recycled as not simply ending up on a landfill site.